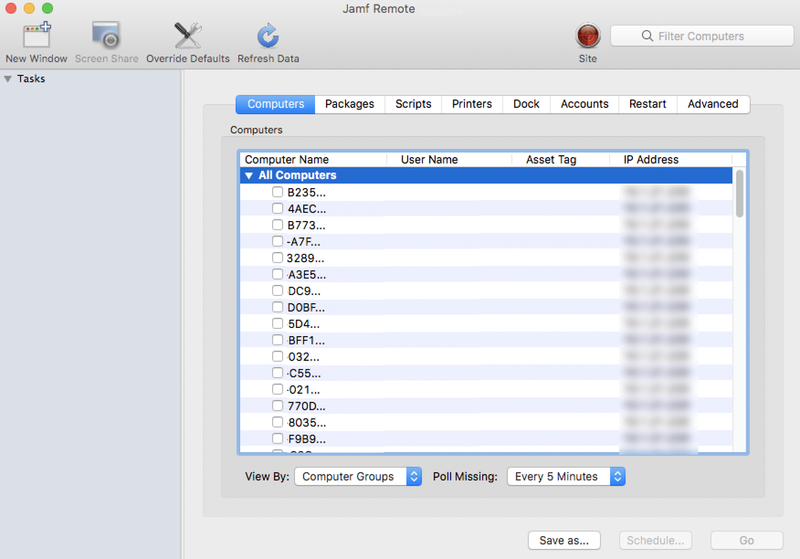 There are two ways to add or remove Dock items on computers: using a policy or using Jamf Remote. When you add a Dock item on computers, you can choose whether to add it to the beginning or the end of the Dock. Select the Dock Items payload and click Configure. Click Add for the Dock item you want to add or remove. 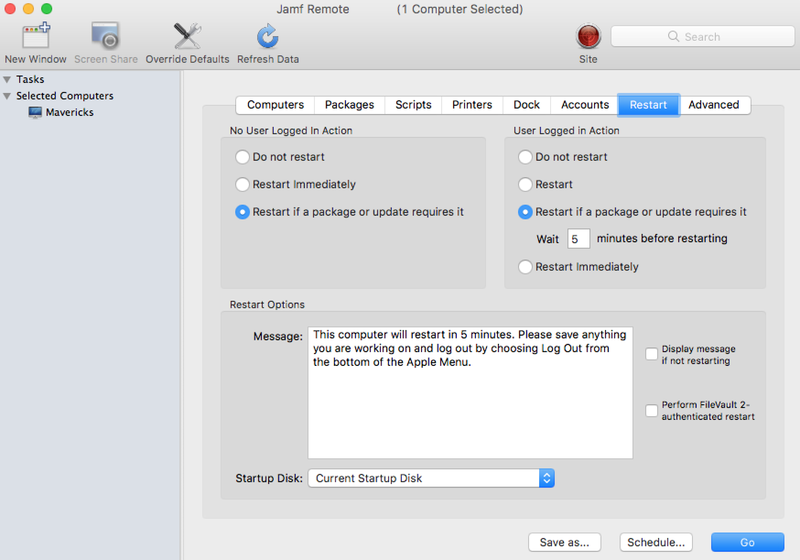 Choose "Add to Beginning of Dock", "Add to End of Dock", or "Remove from Dock" from the Action pop-up menu. In the list of computers, select the checkbox for each computer on which you want to add or remove the Dock item. In the list of Dock items, select the checkbox for the Dock item you want to add or remove. 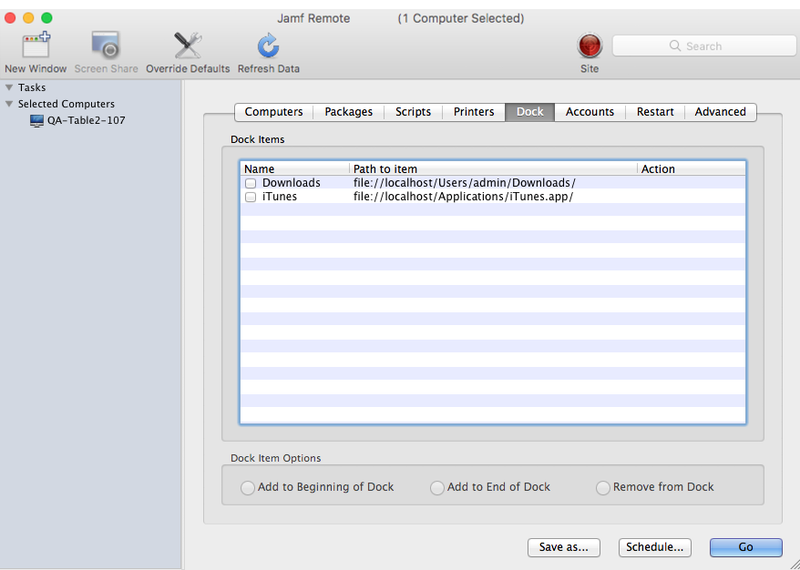 Select the Add to Beginning of Dock, Add to End of Dock, or Remove from Dock option. Find out how to create policies, view the plan and status of a policy, and view and flush policy logs.